Capcom has dropped a buttload of new screens showcasing five new stages in Super Street Fighter IV. Korea, Africa and India join Metro City and Seth's S.I.N. Lab as venues in which you may get your chop-socky hadouken on. Capcom's Seth Killian provides a commentary of the new sites over on Capcom-Unity, pointing out that you can fight during an eclipse and knock over wildlife in Africa, or rumble in the lab during a total meltdown. Be sure to see the full-size versions and check out all the background characters and features. 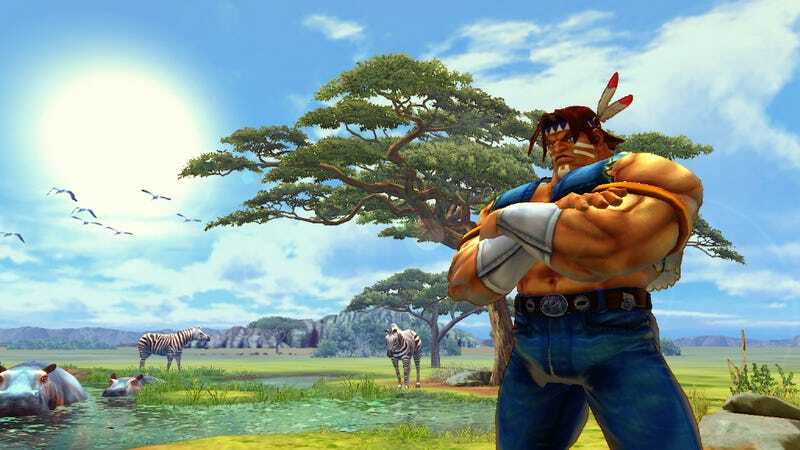 Super Street Fighter IV is due out in the spring. Once again, the full gallery is here, so be sure to check out all the new shots.